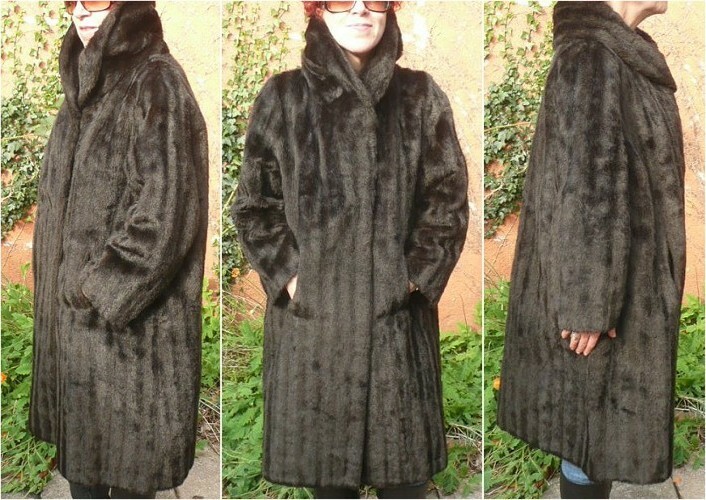 Vintage 1950s/late 60s faux fur coat. I swear on the poodle's life - the only creature to share its coat with this coat was a teddy bear! 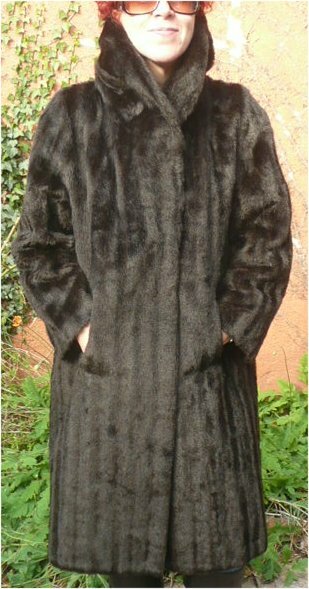 Although made very much like a true fur coat - with the internal ties, the hooks, even the patterned lining - this is definitely faux fur. As you can see, however, with its deep pile and gloss, this looks pretty convincing. The collar is wonderful, whether down or up (but especially the latter - very film star!) and the condition overall is excellent: I can see no faults with it. 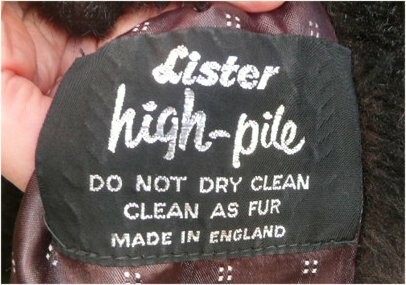 There is one label: 'Made by Lister - high pile - do not dry clean - clean as fur - Made in England'. It fastens with two concealed hooks and eyes, and hangs opulently; it's quite heavy! 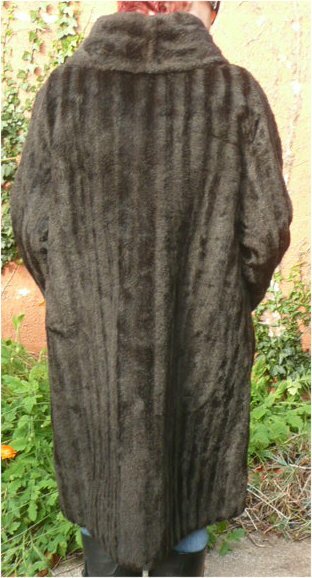 Approximate measurements are 49 inches under the arms (124.5 cms), length from back of neck 40 inches (101.5 cms), upper sleeve seam from shoulder 24 ½ inches (62 cms).